What is a REFEEDING PROGRAM? Feeding neglected horses. We often speak of a re-feeding program for starved horses. Most people use the UCDavis refeeding program. Below is a clear and thorough explanation from Standlee Feeds of what happens to a starved horse – and how to safely return them to health. 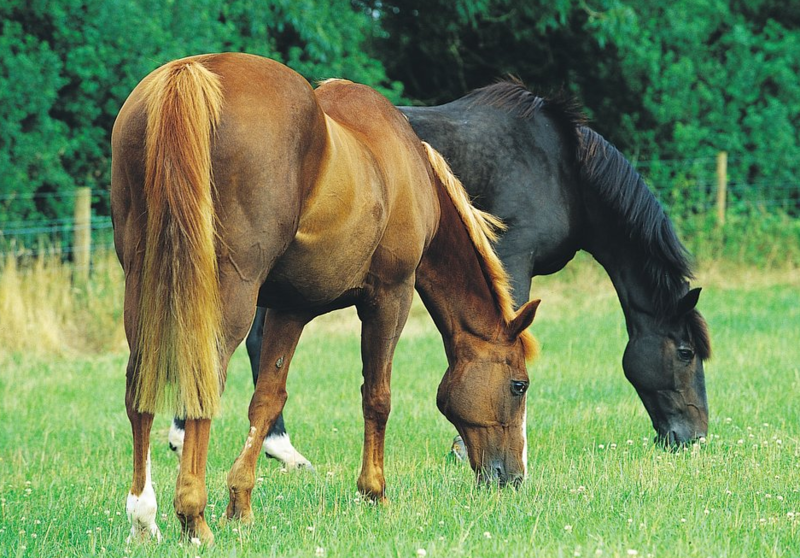 Starvation or malnutrition in horses can be caused by intentional neglect, ignorance, economic hardship of owner, disease, dentition, pecking order, parasites or seasonal variation in availability of pasture. Remarkably, horses can lose 30% or more of their body weight and still survive. Horses in this condition will have very little muscle mass and will be very weak. They will need special attention and a sound nutrition program to return to proper body condition. Even with the best of care, some horses won’t survive, especially horses that have lost 50% or more of their body weight. When a horse is fasted, its body starts to breakdown stored fats and carbohydrates to use as energy to maintain life. When these stores are depleted, the body starts to derive energy from the breakdown of protein. Initially, the body breaks down protein from muscle causing muscle wastage. However, this utilization of protein is not specific to skeletal muscle and can also breakdown protein from vital organs, such as the heart and gastrointestinal tract. The lack of nutrition also depletes the body of vitamin, mineral and electrolyte stores and leads to a state of salt and water intolerance. Neglected or starved horses that are being reintroduced to feed occasionally suffer from re-feeding syndrome. 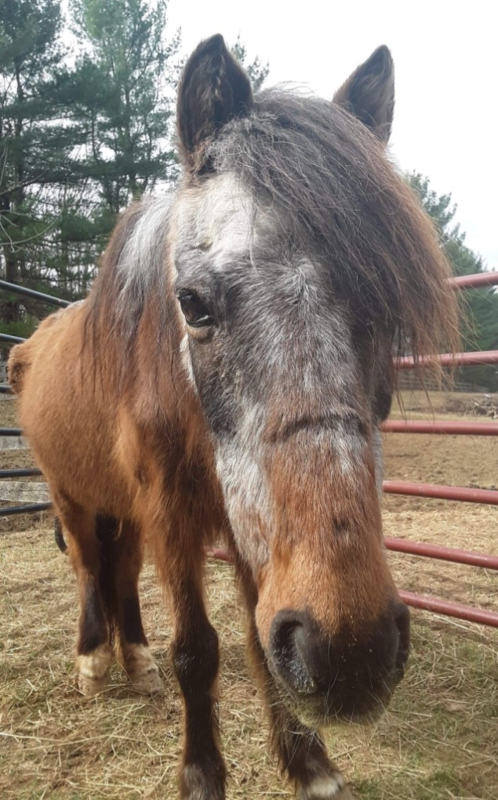 Re-feeding syndrome occurs when a fasted horse eats a meal (generally high in carbohydrate); insulin is released and causes glucose to be absorbed into the body cells, but it also draws the electrolytes magnesium and potassium out of the bloodstream and into body cells. The starved horse doesn’t have an adequate store of these electrolytes and their depletion can lead to heart, respiratory or kidney failure, and subsequent death. These horses will also retain salt and water, resulting in severe swelling. Generally, the effects of re-feeding syndrome will be seen between three and five days after the first meal, and many horses die within a few days after starting a feeding program. Re-feeding syndrome can occur, regardless of body condition, in horses that have been fasted for more than five to ten days. Equine nutrition research has shown the safest way to start a feeding program for a starved horse is to offer small frequent meals of high-quality alfalfa hay. Start the feeding program by offering one pound of alfalfa hay every 4 hours. The amount of alfalfa offered per day for the first three days of re-feeding is shown below. Alfalfa is better than other types of hay because of its high composition of quality protein, but also the major electrolytes, phosphorus and magnesium. Because alfalfa hay is very low in sugar content, there are minimal effects in regard to insulin response. Follow this feeding program for the first three days and provide fresh, clean water at all times. If it is an older animal with poor or missing teeth, their ability to chew long-stemmed hay may be compromised. In these cases, it may be necessary to feed an alfalfa hay pellet or cube that can be soaked and made into a mash. If the horse tolerates this program with no diarrhea or other problems, keep increasing the amount of alfalfa hay fed and decrease the number of feedings. From day 6 through 14, the horse can be gradually increased to 2% of its body weight in alfalfa hay. This hay should be offered in small amounts every eight hours. The amount of alfalfa offered per day for the different weight classes of horses is shown below. After two weeks, the horse can be fed twice daily with the total amount of alfalfa hay provided equal to 2.5% of the initial body weight. These feeding amounts are shown below. After 14 days, introduction to pasture can begin with an hour of pasture access for three to four days. Gradually increase pasture time over a period of 10 to 14 days and then daily or 24-hour access can be allowed. Also, if alfalfa hay is not readily available and another type of hay is more available or economical, the horse may be gradually changed to another type of hay over the next two weeks, so that alfalfa hay no longer is fed after four weeks into the feeding program. The horse’s digestive system is designed to digest fiber from hay and pasture. However, grain concentrates offer a more calorie dense feed and provide the horse with nutrients to repair tissues. Starting at day seven, add a small amount of protein, vitamin and mineral pellet. This pellet will add the essential nutrients that have been depleted from the body. This low inclusion supplement will help protect the digestive system from upset often caused by large meals of grain. A good protein, vitamin and mineral pellet to utilize with alfalfa hay is LMF Super Supplement (A). This product is designed to be fed at a rate of 0.1 lbs of LMF Super Supplement (A) per 100 lbs of body weight. For the body weights of the horses utilized in the previous example, the amount of LMF Super Supplement (A) that should be fed is as follows. The dietary adequacy of this diet is shown below. In this example, the horse is eating 2% of its body weight in alfalfa hay along with 0.1 lbs of LMF Super Supplement/100 lbs of body weight. Finally, the horse has access to a plain white iodized salt block. At 14 days, discontinue the LMF Super Supplement (A) and begin to add a more calorie dense grain concentrate. The LMF Primetime (A) is a pelleted grain concentrate that will facilitate weight gain. LMF Showtime (A) is a non-pelleted grain concentrate that will also help horses gain weight. Begin by feeding only one pound of grain concentrate, twice daily. Gradually increase the amount of grain by adding one pound per day until feeding 0.5% of the horse’s body weight daily. The dietary adequacy of this diet is shown below. Feeding this amount of grain and plenty of hay will allow for a slow and gradual weight gain. Bringing a starved horse to normal body condition will take three to six months, depending on the level of weight loss. Incorporating commercial feeds that contain high amounts of fat will be beneficial as fat is the most dense form of calories that can be fed to horses (1 cup of oil is approximately equal to 2.5 pounds of cereal grains when considering energy content). Stull, Carolyn. (2003). Nutrition for rehabilitating the starved horse. 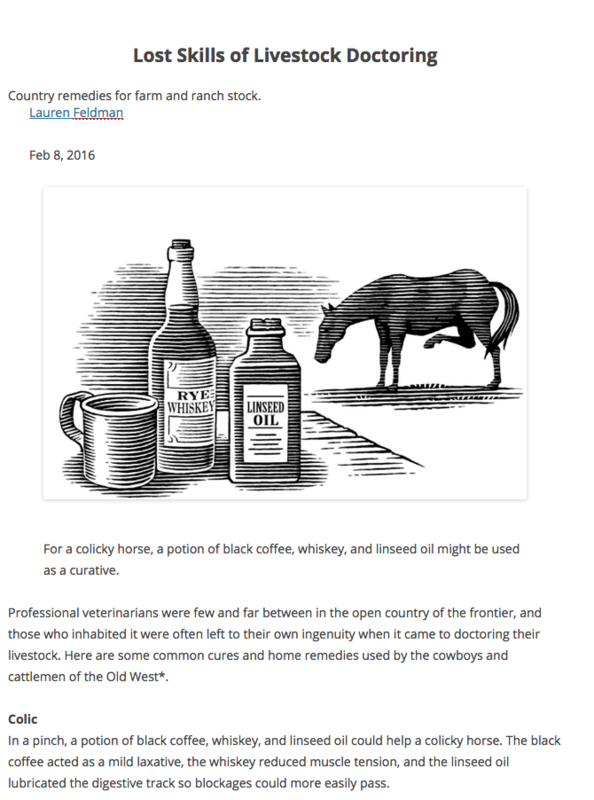 Journal of Equine Veterinary Science – J EQUINE VET SCI. 23. 456-457. Whiting TL, Salmon RH, Wruck GC. Chronically starved horses: predicting survival, economic, and ethical considerations. Can Vet J. 2005;46(4):320-4. Stull, C.L., P.J. Hullinger, and A.V. Rodiek. (2003) Fat Supplementation to Alfalfa Diets for Refeeding the Starved Horse. The Professional Animal Scientist, Volume 19, Issue 1, 47 – 54. Spring is here… and that means a change in temperature and GREEN GRASS. Many of us have experienced our horse having gas and colic issues. It is pretty awful. So I’d like for you all to keep this information near and dear. First off, the COWBOY CLASSIC CURE that I have not tested but readers say it works! You probably have these ingredients in your house – which is good because we tend to panic when we see colic. Coffee, whiskey, linseed oil (safflower oil). I have heard from readers, that this works. I’d call the vet, administer this, and hopefully, by the time the vet arrives, you are all recovering. One reader substituted Safflower Oil for Linseed Oil. Another substituted mineral oil for linseed oil. Both had positive results. See the text in the below article. THE REMEDY I KNOW WORKS: – SAY WHOA TO COLIC. I have had to use this several times on different horses for different reasons… and it has never let me down. Unfortunately, it doesn’t work for twisted gut. But it works for most other colic. I keep two doses of SAY WHOA TO COLIC on my shelf at all times. I’ve given it to neighbors and friends in need. People have driven miles to get it from me when their local feed store didn’t carry it. I know it works. Usually, I administer the cure and call the vet. By the time the vet arrives, no colic. But, it is nice to have the vet agree. Sometimes I’ve administered the cure at night and a few hours later, the horse is perfect. Yes, it is spendy (but way less expensive than an emergency vet call or surgery! ), but with this coupon, you get $10 off your order. Go to the Say Whoa to Colic site and use the code “HMfund” upon checkout (the code is entered on the last screen). This stuff is a life saver. Get it if you can. Having this on my shelf has kept me sane for many years. Granny Pony is doing so much better! Let’s give her a new name!